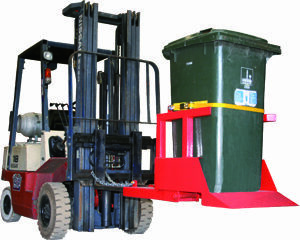 Using your forklift to empty your wheelie bins has never been easier with Bremco’s Forklift Wheelie Bin Tipper – 2 Bin Tipper slip on forklift attachment. 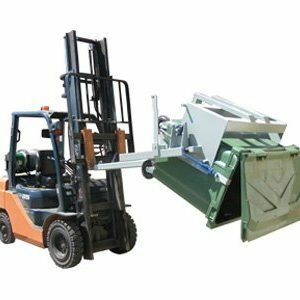 To ensure safe operation, a steel locator plate and ratchet assembly allows the bin to be positioned properly in the tipper. 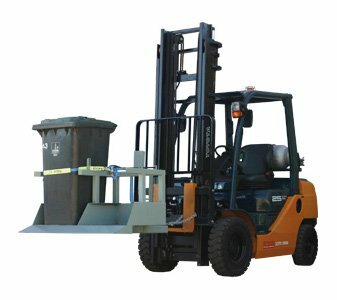 This attachment is controlled right from the driver’s seat by a latch mechanism.